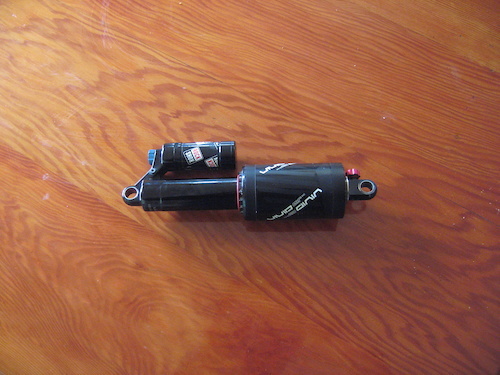 For sale I have a brand new, never ridden, MRP 2x chain guide. I pulled it off a bike I bought because I am going with a 1x setup. It comes with the mounting hardware included with the bike. For sale I have a brand new, never ridden, Rockshox Monarch R Debonair. It came with a bike I bought but I am going with a shock from another brand. The size is 200x57mm (7.875"x2.25"). I will press out the hardware before I sell it unless you are installing it in a Giant Reign in which case it will bolt in! 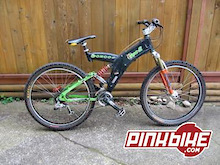 For sale I have a brand new, never ridden, Rockshox Pike RC. It came with a bike I bought but I am going with a fork from another brand. It's a 160mm, 27.5", Pike with the new Charger RC damper. The steerer measures 174mm. I will include the manual and two tokens that came with the bike. Unfortunately, due to school, I'm being forced to sell my Shocker. Everything has been well maintained over the life of the bike and it's ready to ride as it is. Weighs a little over 38lbs with the current tires. Frame: 2012 Cove Shocker - Medium Fork: RockShox Boxxer World Cup R2C2 Shock: Cane Creek Double Barrel Air Headset: Chris King Inset 1.5"-1 1/8" Stem: Gravity Light Direct Mount Handlebar: Gravity Light Carbon 777 Brakes: Shimano Saint Rotors: 180mm Magura SL Hubs: Chris King 20mm / Chris King 150mm Rims: Stan's Flow EX Tires: Maxxis Minion DHF 3C 26"x2.5" Crankset: Gravity Light 165mmx83mm Pedals: Straitline Amp Derailleur: Shimano Saint Shifter: Shimano Saint Seatpost: SDG Carbon Seat: SDG Duster I-Beam I'm open to reasonable offers but no trades or shipping outside BC. 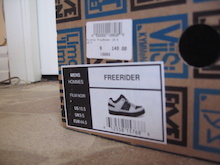 I have a 9.5x3.0 Vivid R2C for sale. It came on a bike I bought and I swapped it out for a different shock. Seemed to work fine. It has a Medium / Medium tune. Asking $300. 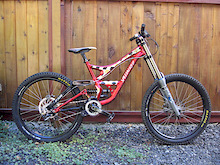 I have a 2010 Fox 36 Talas with a 1 1/8" steerer that is good for either parts or a rebuild. 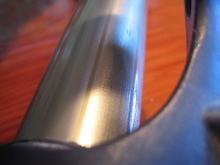 The seals failed on the Talas side on a day at Whistler and the bushings rubbed through the stanchion coating. I haven't used it in 2 years so overall the fork is in great shape. The lowers are like new and it was well maintained. If you have any questions PM me. I bought a set of Five Ten Freeriders recently and they don't fit as well as I would have hoped. I've used them three times and they are like new. I payed $150 for them.